Demolition, decontamination, and recycling have become trending issues for the European Commission and all the related stakeholders since they represent an integral part of the Circular Economy. Legislation changes and new challenges are just about to arrive. So, it’s better to be prepared. That’s why EDA, in partnership with EDI, is organizing the DDR Forum & Expo 2017, the first and unique European trade fair specialized in demolition, decontamination, and recycling. This is the event where all the professionals of these activities could meet, discover the news and exchange knowledge. DDR Forum & Expo 2017 had two different conference spaces: a plenary room and a work area, where presentations were held from 9:00 to 18:00 on Wednesday 14 June and Thursday 15 June, and from 9:00 to 13:00 on Friday 16 June. Throughout this time, the exhibition area was open with the aim of showing the latest developments in machinery and equipment for these sectors, as well as to facilitate contracts between all attendees. Decontamination of Persistent Organic Pollutants (POPs). Demolition of damaged buildings and infrastructure. Development of the Circular Economy in Europe. Metal Recycling: Trends and Business Opportunities (by Metals for Building). 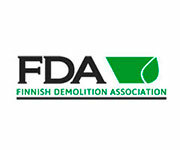 Recycling of construction and demolition waste (by the FIR). 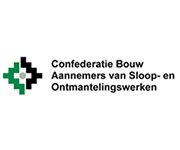 Finally, on the last day, the conference program focused on the European Commission directives, with the presentation of the Waste Management Protocol (CD Waste) and the update of the Waste Framework.